Indoor cycling trainer setups are made up of many separate pieces of gear, and it's common for people to use some — but not all of it when they ride outdoors. This makes it a little tricky to properly track how much use this equipment gets, but it's still worth it to do so. Why? Your safety and performance rely on knowing the accurate amount of wear and tear your gear has endured. You don't want to start a race or an intense training ride with a bike part that's ready to be replaced. The first step is to track the trainer itself, and the cassette (if it has one). 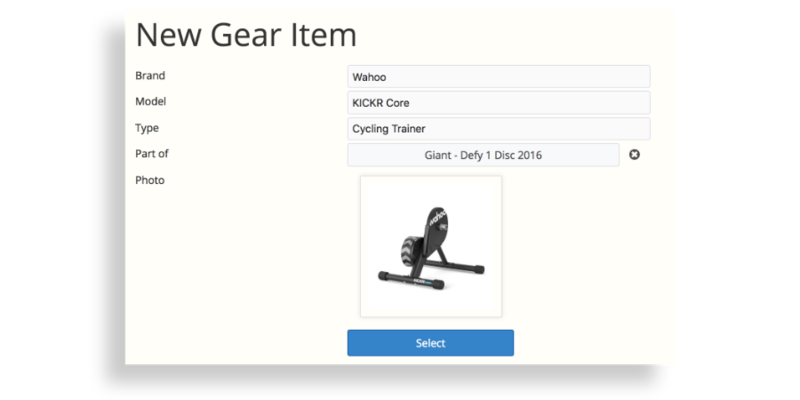 If you have a brand new trainer, add it to your gear tracking software right away. 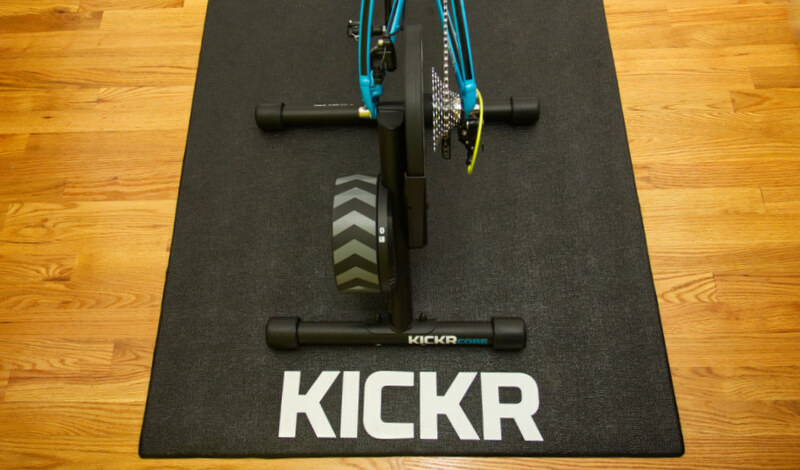 If you've already been using a trainer, it's easy to add it to all of your past indoor workouts. SportTracks lets you quickly import your entire history (even if you're just using the 45-day free trial), and then add gear in bulk to specific workouts in just a few simple steps. Some people have dedicated bikes for their indoor trainer, while others use their bikes both indoors and out. If you have a bike that's used exclusively on a trainer, then it's easy to track the usage. Just be mindful to properly track any gear that may be moved between your indoor and outdoor bikes, such as power meter pedals, like the popular Favero Assiomas. If you have a bike (or bikes) that you use both indoors and out, tracking requires a little more care. I track every part of my outdoor bike separately, and all of the parts are grouped and assigned to a sport so they automatically get tagged when a cycling workout is auto-synced to SportTracks. It's great because it's all tracked automatically in the background and I don't have to do a thing. For example, I can quickly see that my front Continental Grand Prix 4000 S II has 902 miles on it, and my rear tire has 1490 miles. Note that I remove my front tire from the group, but not my front rim, hub or spokes. My front wheel doesn't spin when I ride the trainer, so I don't want to track miles on the tire itself. I'm still putting my body weight on the front rim, spokes and hub for the duration of my indoor training sessions. Those parts feel that pressure, so I track their use. HOT TIP: Give your front wheel a little spin after every workout so you don't stress the same spokes on every ride, unless you have the KICKR Climb — in which case I'm jealous. With those parts removed from my bike group, I then add my trainer and my trainer's cassette as part of my bike. Now my indoor trainer rides will automatically track the usage of my trainer and all of the other parts of my bike, except for the specific parts I excluded. With wheel-on trainers, like the popular Tacx Flow Smart, the rear wheel stays on the bike, but the tire is usually swapped out for a dedicated trainer tire. In this case, you should track the usage of your rims, hubs, and spokes, but you should remove your rear road tire from your bike group and add your dedicated trainer tire. Why track a tire that's only used indoors? So you can celebrate its birthday, of course! How long will my gear last? One of the main reasons to track your gear is to avoid overuse to the point where a part fails during a ride. This can be extremely dangerous, so it's best to do everything possible to avoid mechanical breakdowns. Now that my indoor training gear is all being properly tracked, I'll know my usage is accurate. I won't be adding unnecessary miles on my brake calipers, front tire, and other essential parts that will go unused for months. The parts of my bike that do get use will be tracked correctly, so I'll be able to service and replace them as needed. Do you have a different approach to tracking your indoor training gear? If so, we would love to hear about it in the Comments section below!